Graphic Design - Mailing Systems, Inc. 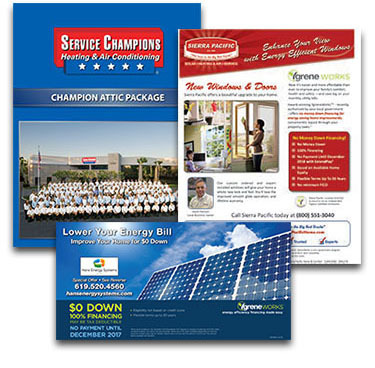 The graphic design of your direct mail marketing materials is the first thing your customers and prospects notice. This is the printed form of communicating your message, your offer, your product and your service. The main instruments of graphic designers are images and typography. These are used to convey a compelling call to action to your loyal customers and likely prospects. Our Sacramento Graphic Designers are the link between the direct mail client and the readers of your direct mail advertising. With this collaborative information, we have a clear understanding of how the direct mail marketing piece should look and appeal to your target audience. If you are located outside of Sacramento, our Sacramento Graphic Design team will be able to communicate with you by email or telephone as they prepare your graphic design project. Many customers would like to supply their own graphic design for printing. At MSI, we preview the artwork with clients before printing so that we can make constructive suggestions and ensure a high quality final product.In Direct Mail Marketing, there are only a few seconds to make a positive first and lasting impression.